Shigatsu wa Kimi no Uso (Your Lie in April) Live Action will officially premiere on December 7 in the Philippines. SM Cinemas will be showing the film through Pioneer Films. Fans should schedule going to the cinemas early since films like this usually last within a week due to the fact that it is not a mainstream movie. The live action film enjoys a user rating of 97/100 from 2,422 votes in an online site for Asian films and movies. Your Lie in April Live Action is based on "Shigatsu wa Kimi no Uso" by Naoshi Arakawa, a manga series first published in May 2011 in the Monthly Shonen Magazine. 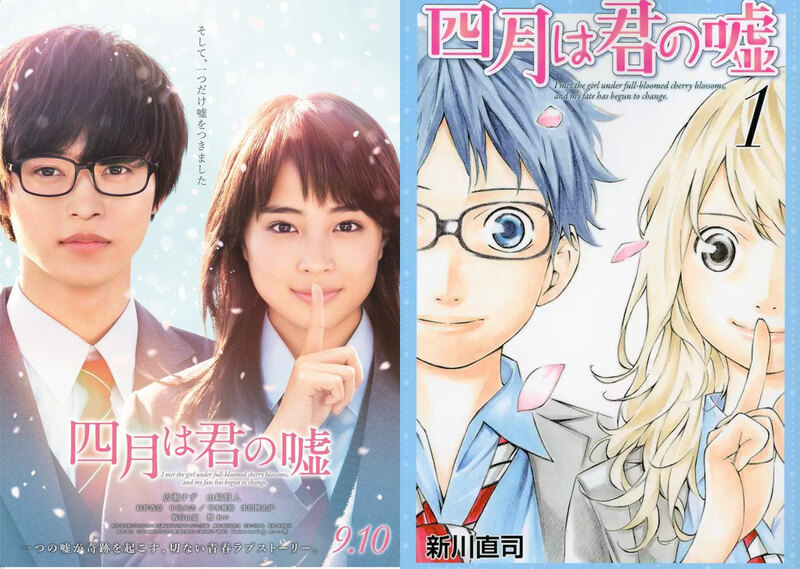 Shigatsu wa Kimi no Uso (Your Lie in April) Live Action's filming only lasts for one month from October to November 2015. Prior to that however, the casts Kento Yamazaki and Suzu Hirose practiced playing the piano for 6 months. Kosei Arima (Kento Yamazaki) won numerous piano competitions while under the strict watch of his mother. He was known as the human metronome during that time. Since the death of his mother, Kosei Arima has been unable to hear the sound of his piano. Kosei Arima then meets Kaori Miyazono (Suzu Hirose) through childhood friend Tsubaki Sawabe (Anna Ishii). Kaori Miyazono plays the violin and has a free sprit. Since meeting her, Kosei Arima is able to face the piano again. Meanwhile, Kaori holds a secret. 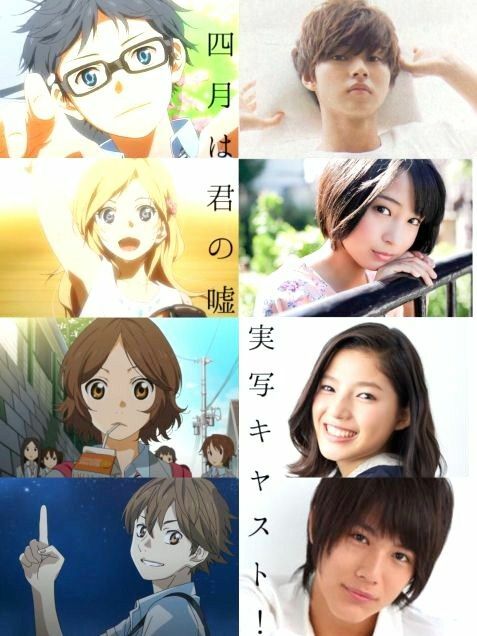 Here is the official movie trailer of Shigatsu wa Kimi no Uso (Your Lie in April) Live Action. We are very excited to watch this movie and will surely que in the cinemas. Are you also excited to watch this? Don't forget to like our page at https://www.facebook.com/otakuplayph.